Pope Francis has released his first album “Wake Up!”, a selection of his public speeches put to various styles of music such as pop, rock and Latin chant. 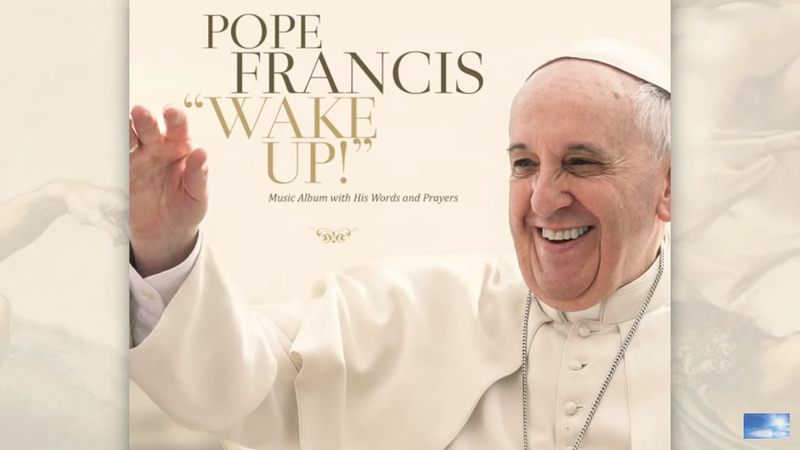 VATICAN CITY – Pope Francis has released his first album “Wake Up!”, a selection of his public speeches put to various styles of music such as pop, rock and Latin chant. “The idea was born from the moment Pope Francis came out on the balcony and said ‘dear brothers and sisters, good evening’,” producer and artistic director Don Giulio Neroni said. This entry was posted in Wake Up: Pope Francis and tagged Pope Francis: Wake Up. Bookmark the permalink.